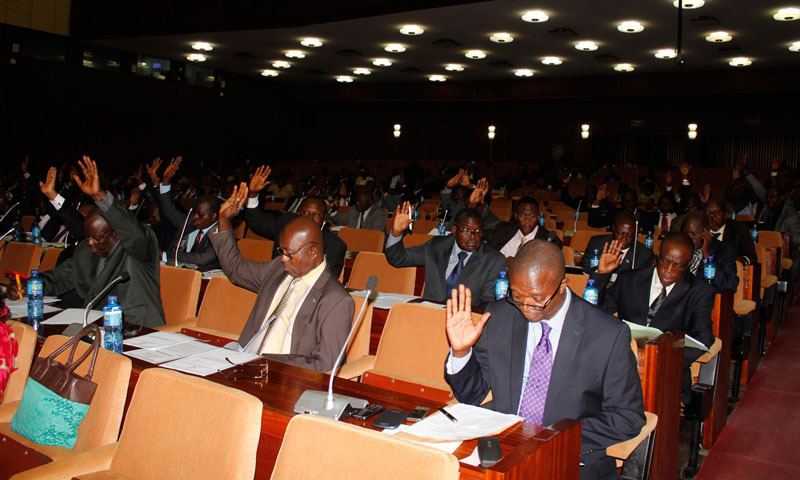 Kinshasa 06-02-2019 Politics - The members of the new lower house of parliament will be this Wednesday in a new plenary devoted to the establishment of 26 commissions to represent the 26 provinces in the country, and to validate the powers of new elected. The new elected national deputies are invited to a new plenary Wednesday, February 6 to the National Assembly, announced Monday during a press conference, the first secretary of the provisional office, Jackson Ause Afingoto. This plenary, he said, will be devoted to setting up of 26 commissions to represent the 26 provinces in the country, which will enable the validation of the powers of new elected representatives. The Honorable Jackson Ausse, on this occasion, recalled the three main tasks assigned to the provisional office set up in accordance with the Constitution, during the inaugural special session of the 3rd legislature of the Third Republic, including the validation of the powers of the new elected national deputies, the adoption of the Rules of Procedure of the National Assembly and the establishment of the final office. This young elected representative from the constituency of Irumu on the list of AAD political group in the province of Ituri, wanted to fix the opinion on the context that delayed the holding of a second plenary, after the inaugural session Monday, January 28, 2019. This is, among other things, the fact that the provisional office was waiting for the physical records of each new elected national from the CENI. Answering the question relating to a constitutional constraint whose faced today the patriarch Antoine-Gabriel Kyungu Wa Kumwanza, who finds at the same time president of the two provisional offices, the National Assembly and the provincial Parliament of Haut-Katanga, the deputy Ausse Afingoto indicated that after the validation of the mandates, the provisional president will have only 8 days to be able to operate a choice between the two assemblies.